Cartier's Tortue Multifuseaux is a world time watch which, differently from other popular models, does not feature the typical disc with the world cities on the dial. Instead, the cities disc is displayed through a sapphire window on the side of the case. 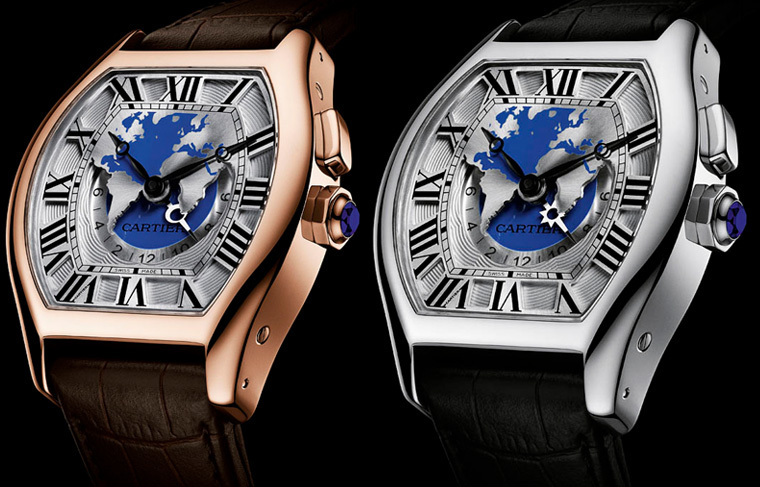 The eye-catching dial, decorated with a lacquered representation of the earth, has two levels. 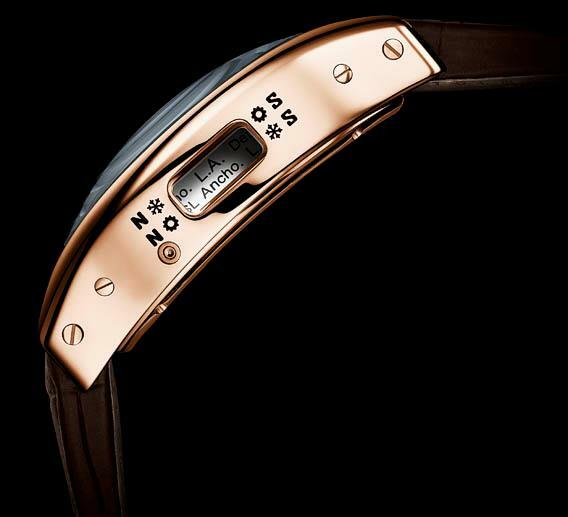 The home time is displayed on the lower sub dial from 6 to 6, using a different hand to distinguish between day and night. 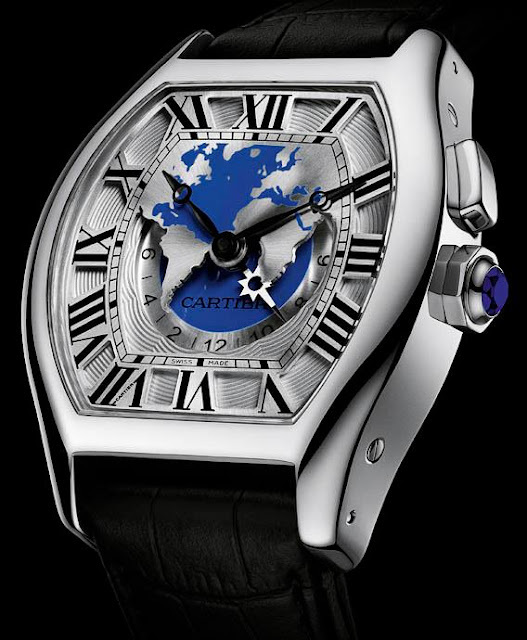 The night hand features a moon while the daylight one features a sun as shown in the picture below. 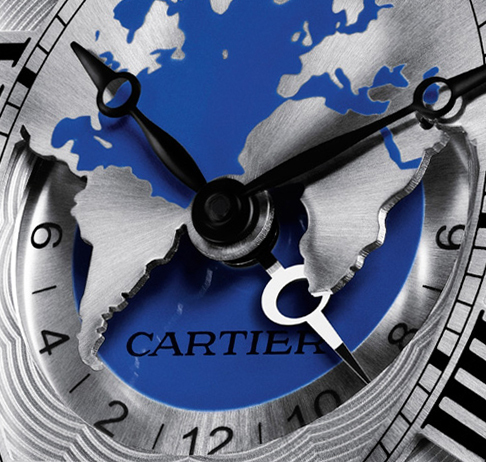 The pusher at 2 o’clock advances the local time hands on the dial displaying the available timezones through the sapphire window on the side of the case. The system takes into account the seasonal variations between summer and winter time arranging the cities on two rows, the top one for the Northern hemisphere in winter and the Southern hemisphere in summer and vice versa for the lower one, as explained by the icons engraved on the case. 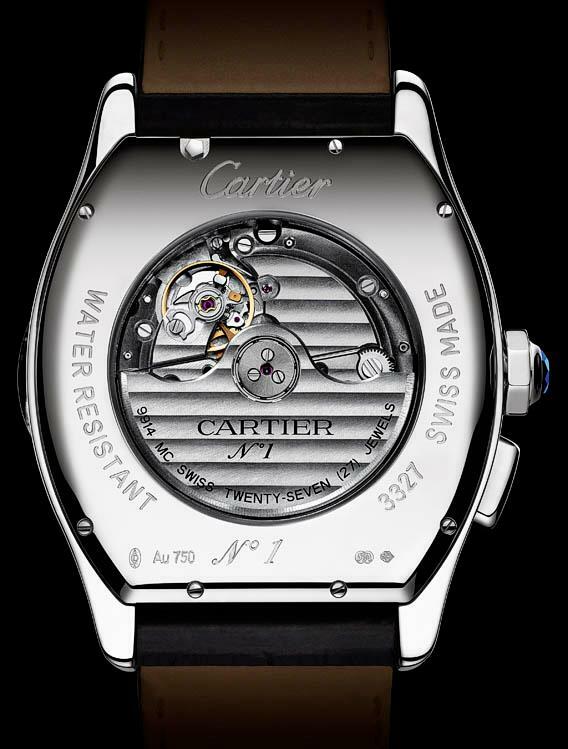 Movement is the in-house calibre 9914MC running at 28,800 vph with a power reserve of 48 hours. 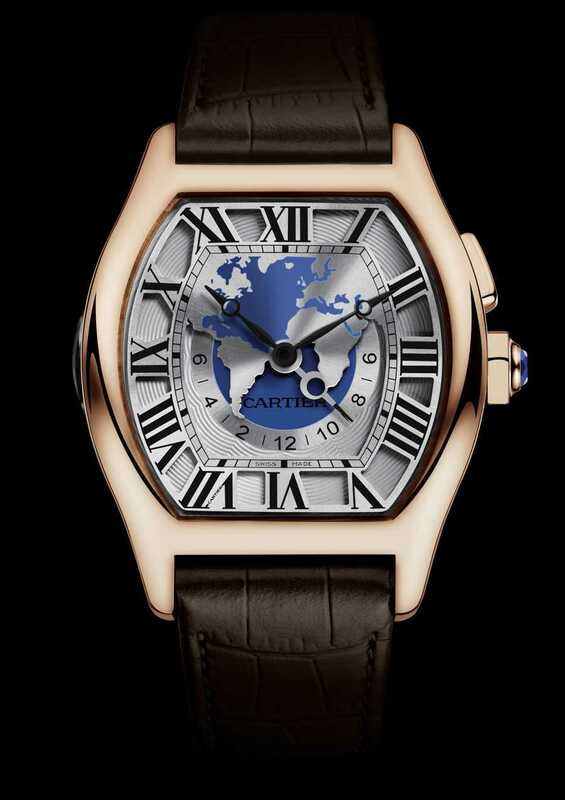 The case, in rose or white gold, measures 51mm x 45.6mm with a thickness of 17.2mm. It is water resistant to 30 meters.